When I got hired to make cupcakes for a birthday party, I offered a couple of different options to try. 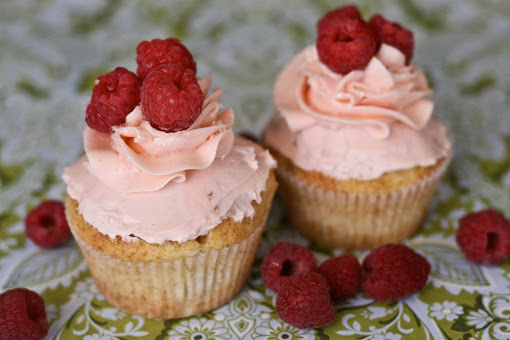 I threw out ideas all the way from lemon meringue cupcakes to raspberry white chocolate. She decided on Ispahan cupcakes and I was uber excited! Then a couple seconds later, a shot of fear ran through my veins... did I bite off more than I could chew?!?! I wanted something where the lychee flavor was really present and something that was of course beautiful. I finally decided on a lychee butter cake from Dessert First and I planned to top it with a stabilized raspberry whipped cream and possibly fill it with a lychee mousse. No, no, no.... definitely did not work out! The stabilized whipped cream tasted fantastic but it must have been the mashed berries or something because it was hideous! So instead I decided to fill them with this instead which is kind of similar to a mousse (what I had planned to fill it with), so it worked out better this way! Yay I love it when things work out! For the frosting I wanted something that wasn't too sweet (as lychees are sweet by nature) and that I could pipe into stable shapes, so I decided to use a swiss meringue buttercream and it worked out perfectly! Topped with some candied rose petals (tutorial coming soon), fresh raspberries, some edible glitter and we are FINALLY done folks! Original recipe from Dessert First, which can be found here. Preheat oven to 350 F. Prepare a cupcake pan with liners, set aside. Drain the lychees and cut into small pieces, set aside. Sift the flour, baking powder, and salt into a small bowl, set aside. In a mixer cream the butter and sugar until well blended and fluffy. Add the eggs one at a time, making sure to scape the sides of the bowl as you move along. Next add the vanilla, rose water, and lychee water. Mix to combine. Lastly, toss the diced lychees into the flour mixture and mix with the wet mixture, mix to combine. 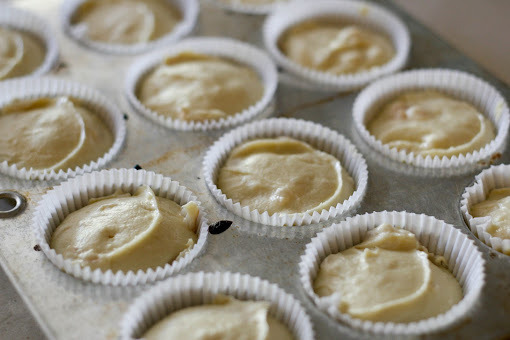 Pour into cupcake pans and bake about 15 - 20 minutes or until an inserted toothpick comes out clean. They are waving 'Hello' to you! Slightly adapted from Art of Dessert, original recipe can be found here. In a small bowl, sprinkle the gelatin over the water. Let the gelatin bloom/ absorb the water for a couple of minutes. Add a dash of the heavy cream and microwave for a minute to allow the gelatin to dissolve, set aside. In the bowl of an electric mixer, on low, beat the cream cheese until nice and fluffy. Add the whipped cream, sugar, and salt. Whip everything till soft peaks form, then add the gelatin mixture and the vanilla. 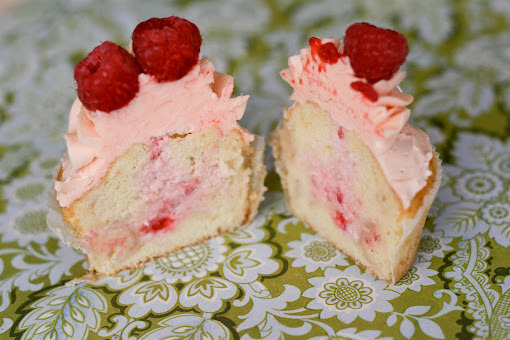 Whip until stiff peaks form, then fold in the mashed raspberries. Refrigerate for 15 - 20 minutes. 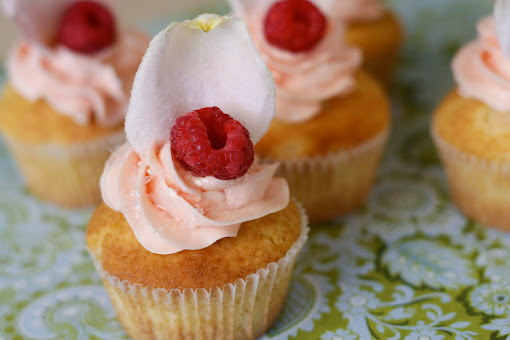 You can use the cone method or simply pipe these into the cooled cupcakes. Original recipe is from Smitten Kitchen, which can be found here. Put the egg whites and sugar into the bowl of an electric mixer. Place the bowl over a pot of boiling water making sure the bottom does not actually touch the water. Stir the egg whites until the sugar is dissolved. Remove from the heat and place into the mixer stand. Beat until it becomes white and doubles in size. Add the vanilla on low speed, then add the butter, one piece at a time, making sure it is well mixed after each addition. Do not worry if it looks curdled, it will take some time for it to come together. Continue beating for 5 - 10 minutes until everything comes together. Spread/ pipe/ smother onto your cupcakes and enjoy!! The final cupcake order, all packed and ready to go! Michelle...these sound and look so very good! Rosewater is my newest passion to experiment with, so thanks for the idea. Swiss Meringue Buttercream is my favorite and I love the decoration on the top...you have a winner here. 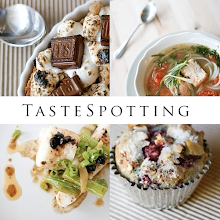 found you on tastespotting; these sound heavenly! I love rosewater!! 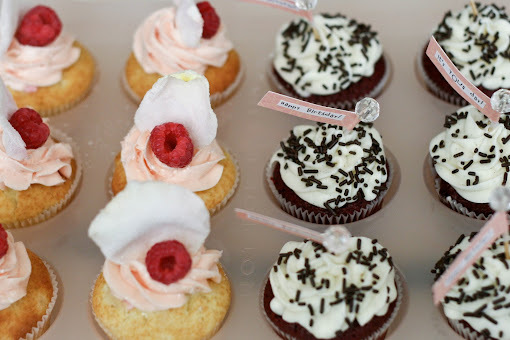 Your cupcakes are so beautiful and sound yummy! I love, love your blog... even when I'm not looking for you, I find you! I just posted about cupcakes that I made for my boyfriend's birthday. They're so much fun (and much easier to transport and prepare than a sheetcake for 25 people! this looooks so beautiful! hmm. do you have any idea what to substitute for rosewater if i cant find any? I usually get it at Middle Eastern Markets but making it is super simple too! good lord those are SO CUTE. Marvelous job! 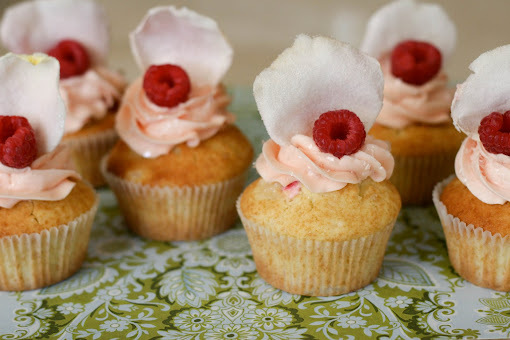 Really those are some of the most elegant looking cupcakes I've seen. Very grown-up. Just delightful. 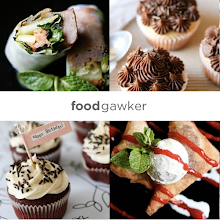 I do hope you're going to participate in the Virtual Cupcake Crawl.